Hello Sweeties! 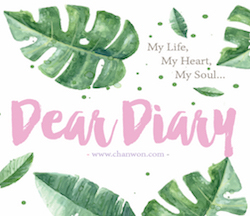 Welcome back to my blog and I'm working really hard on this post because a lot of you guys have been asking it but as usual, my itinerary will be like a to-do / places I go / things I like to do kind of post. It won't be a fixed itinerary for you guys because everyone seems to have different likes and dislike. 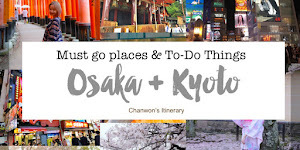 So I will list down everything I did and places I went or things that I recommend based on my experience, maybe some advices for you too? Then you guys can pick from my list and can refer it anytime if you are planning for your trip. It took me a week to get all the photo ready with my cacat laptop but no worries. I still get it done! MUAHAHAH Congrats to me. So first I'm going to talk about things that I prepare before the trip, where I stay, what's my plan and so on. Are you ready for that? Let's get started! Hong Kong is quite a busy city and as you guys know I normally don't go busy city or maybe I will just go it once to unlock a new country. Then each time when I ask my friends, they always told me they get scolded in Hong Kong because it's a really busy busy busy country and the place where they stay is super duper small and tiny. So the first thing came in my mind was, okay! I'm not going to Hong Kong alone. I'm probably going it with a group of crazy friends and Smelly. But most of them having a full time 9 to 6 job. So it get delayed until we get super cheap tickets and this is consider one of our budget trip because firstly, nothing to shop in Hong Kong except we go there experience the local food and see the busy city. That's all! No one plan for the trip except I'm the one who print screen all to-do and must go places one week before the trip. I never really plan it. I just screenshot some places that I wish to go and wish to try and of course, I'm going to make a day trip to Macau too. So after gather all my crazy friends, we decided to persuade our bf to take leave and temporary throw their work & travel with all the girls. So 5 of us were like YES! Let's go! It was a 5D4N trip. If you ask me whether it's enough or not. I must say it's just nice for us because until the 5th day, we start to feel really tired and that's the time we go back to our own country. lol The trip was super nice except the 4th day where no.8 typhoon came to Hong Kong which totally spoiled my plan. I planned to go to the peak and enjoy a bird eye view of Hong Kong but is okay because ended up we changed our plan and go to find some hidden gem cafe and try lots of yummy food too. For me I don't like to plan and schedule accordingly to the time and hours because who know some place you wanna stay longer, some you just wish to skip or your friend might not like it. So I will always list down thing or to-do on my list and at night I will search google map for the map and also direction / locations. That's easy, don't stress and when your plan or to-do = too much, it's quite rush and tiring too. Then my plan is just go to try their food, polo bun, visit the busy city and of course go to MACAU and eat the super famous tart. I 'die' also must go there lol. So I make it a day trip to MACAU, a quick but fruitful trip for all of us lol. Next, I decided to skip Ocean Park and Disneyland because we got only 4 days in HK, don't wanna wasted a whole day spending in Disneyland or Ocean Park. I prefer USJ or Disney in Japan hahahaha! But also mainly because it's budget trip, we dont wanna spend money on buying the ticket, we just want to walk around and eat the local food in Hong Kong. Don't worry if you have no idea how to plan your short Itinerary. I will give you some guide plan so you can refer to (at the end of the post). Be smart, dont bring large size luggage go because I got nothing much to buy in HK. So I just get my cabin size luggage which can fit 8 outfits of one lol. Please tell me I'm smart. Why? If you bring a huge luggage, I swear you dont even have that space for you to open your luggage. HAHAHAHA But we are quite lucky, our living area of our apartment can really open up 2 huge luggage. But since we got nothing to buy there, we just bring small one , more easy and convenient, am I right? So my advice is, if you staying in a small room , better get a small luggage rather than a big one. Food in Hong Kong is extremely expensive. I totally shock because a wanton mee can cost me around RM35+ and rice set can cost more than RM35. So we round up it, each person for one meal it cost almost RM50. So we can slowly plan how much we need to bring. We book the flight ticket was super duper cheap and my stay @HomeAway was super nice, reasonable and affordable. So ended up added with food + daily + subway expenses, ticket, stay , luggage weight + ticket = RM2000. Yes, each of us bring RM1000 as pocket money for food and daily expenses only. Then another 1k we use for ticket and stay. Which is pretty cheap. I can't believe my trip just cost RM2000. The stay and travel with more friends really help me to save more on this budget trip. Of course, before I come across to look for our stay. People always told me in Hong Kong a small room or hotel can cost me around RM350-400 per night. Even few stars one also small small because HK super duper small then I was like, why not to look for a house rather than staying in a hotel since we have a big group of friends. As you guys know this is like my buddy trip. We thought of hotel but it's really inconvenient to stay in a hotel when it comes to travel with a group of big friends or family. Like every night imagine you need to squeeze in a small hotel room just to chill or chit chat. Then each time you want to talk with your friends, you need to watsapp la or use the hotel phone to call your friends. It's hard to discuss and have fun together. For the past experience with HomeAway, I love the whole home concept where it easier for gathering and it's just so much fun when you staying in a whole house / apartment with your closed friends. So since it's a bff trip with Smelly and three of my friends. We have a total of 5 person and one of our friends from Macau came to our house on the first day and the first thing he was like wtf? You guys book the stay in a whole apartment? You guys so rich isn't? Then after I told him the price, he was like wtf? So cheap please intro me what's the house HAHAHA! So I helped HomeAway to gain an oversea fans already. When I really love something, I will make sure I'm able to spread out the love HAHAHAAHHA! So this is us, gather at the living area every night. Girls enjoy girl's talk and boy just playing their phone game, enjoy movie with their laptop. Then ended up we just gather everyone after bath to play some funny game. Should bring some board game here too lol. Now let me show you my cozy apartment house that i booked through HomeAway. Of course, compared to my previous staying apartment this is quite small but compare with all my friend's stay in Hong Kong, this is like way better than their stay because we got a living area, dining area, kitchen , washing machine and awesome until my friends still go downstair bought some fruit and cut it into pieces for us to eat. Omg where to find this kind of friendship lol. It has almost everything included a kitchen area, dining table, living room, even washing machine, cooking stuff, iron , oven and so on. I saw most of my friend who travel to Hong Kong always comment about how small and expensive their hotel is but guess what I found this from HomeAway was quite a good deal. It cost less than RM150 per person for one night stay. A wonderful stay can really make huge diff. If you watch my stories, you knew every night we spent our precious time chatting and doing little gathering in the living area. We chat, we play game and spending quality time together with our friends. They also thought me how to drink wine lol. Since most of the time our bf can't join the trip, so when they agreed to join us for this trip, I make sure I booked a nice space for all of us. Thank god i found this and this place can sleep for 5-6 person. Two rooms and all essentials are here. I'm so happy that I found this place which located at WanChai #灣仔 because some of the top rating / Michelin stars restaurant just nearby our neighborhood. 7-11 store and MTR just right below our stay and everything is so convenient. Let me show you the photo and the neighbourhood of the apartment. right to the kitchen and here's the living area and this is actually a bed which can sleep up to 2 person. Toilet is quite small but just nice for us. Hair dryer , iron and everything such as towel placed inside the wardrobe. Where we can make coffee, cut fruits, cook some basic breakfast omelette. Everything you need is just right beside you. Oven , washing machine, refrigerator, wifi and even a dining area for you. How possible you can have a dining table in your stay in Hong Kong. That's very important for us because every night before we back to our apartment, we just take away lots of food nearby our area and take it back to our house. Then everyone sit down beside the table and enjoy our supper time. OMG So happy my god! Also a big plus point of this homestay is, it nearby the MTR station. Just 3 mins foot walk and downstairs got tons of FOOD! Street food shop, Michelin rating restaurant, bars and mostly just food and restaurants. So cheap some more so convenient! Where can find this kind of homestay OMG! Travelling with a group of people can experience everything differently. We get to try lots of food because we can share with each other and won't get too full for that, we get to play game every night, plan for each other's outfit on the next day, discuss where to eat / to go tomorrow and look at the photo we took today and so on. OMG okay I should stop that! HAHAHAHA Let's continue to the topic. There is some last min deal when you look for an awesome stay in HomeAway. You can adjust accordingly your budget. Some is just RM130 per person/ night and if you have more budget you can go for RM200 per person for one night stay. I adjust ask each of my friend's budget and plan accordingly within that range. 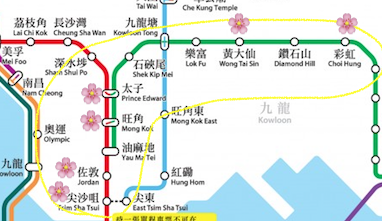 Normally it's MRT but have no idea why it's known as MTR map in Hong Kong. No time to research about it HAHAHAHA! So you can get for a whole day unlimited ride pass. It's just 65HKD per pass but I didn't get that because for busy traveller who plan more than us should love it, but for us we just reload the octopus card (like our touch n go) and the rest we just enjoy! After you walk out from the airport you can spot this information counter right away before you step into the train. 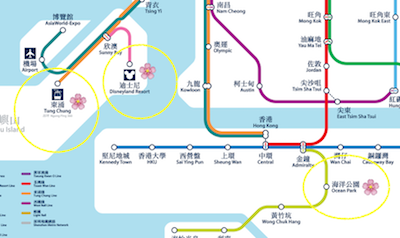 Just buy your octopus card and get a copy of the MTR map for yourself. Or else, just take a photo of the map ya. So for this trip, I mostly travel within the dark blue line (bottom one) , green line and red line. So it's like 70% covered except the new territories side of the map. If you stay longer in HongKong, you can plan for Ocean Park , Disneyland and Ngong Ping 360 too. But due to typhoon 😭 I can't plan it to Ngong Ping 360 and the peak. But is okay! Next time then. For the sim card if you get the sim card which can be use in both HK and Macau it will be HKD198 around RM115 like that base on the exchange rate I get while if you get the sim card which can only be use in HK then it's just around RM60-65 per sim card. I need to get the HK + MACAU package because I'm the GPS hahaha I need google map lol. Then one of my friend get the HK one. So otherwise, most of the time they can connect free wifi. Our stay also got wifi so shouldn't be a problem. I didn't get pocket wifi because I'm lazy to charge and bring the pocket wifi with me plus I'm really last mins, so I just might as well get a sim card. Easier hahaha! I got budget for sim card so no pocket wifi this time since most of my friend no need wifi lol. If you going with a gang of ppl who need use data then get a pocket wifi for sharing purpose & it's cheaper. Therefore, make your decision based on your budget and preference. Don't wanna make it complication. I listed everything according the location so you guys can easily refer it back and for the Macao itinerary, I will listed below/ after the HK itinerary ya. So to kickstart the first thing I did when I reach HK was searching for our dinner. Since we stay at WanChai and our nearby neighbourhood is really nice. Not just normal street food but the Michelin star rating restaurant and food also nearby our stay. Let me show you!! This is the name of the street where we found lots of street food + behind this street was the MTR station. Damn convenient hor! Then we were really hungry because our flight got delayed on hour and we took our lunch at the airport. The price of the food shocked me to the max and before we meet our friend from Macau (who purposely came to HK just to meet us), we decided to take some street food around first and go to meet him later. OMG look at that. I really like to try their local street food. The 碗仔刺 super nice and I dunno what's the name in English but it's known as that in Mandarin. Then the egg tart omg is so local! Since we travel with a group of people. We just simply order whatever caught our attention lol. Ended up everything was super good for us. I guess HK food suit us because we like heavy taste one. Like the fish ball and all that omg! Quite good and street food = quite cheap also. Then we passed by this noodle shop. The fish ball and handmade noodle is damn good. Not sure what's the name because we just simply go in and try. But there was some local newspaper featured this shop. They stick it on the wall beside our table lol. So nearby our homestay, there was a huge supermarket store, some food store and around 4 mins walk there are a michelin rating roasted goose restaurant. Which you probably need to queue for 1 hour until your turn lol. Then the famous michelin egg tart also located at our place wtf! So nice I tell you!! If you like fried chicken with beer then you can order it here. Just nearby our street and then the super market store just opposite to this shop. This is the famous Michelin Star Rating roasted goose. So this continue to my #2 to do list. OMG I tell you please prepare to queue and it always ended up either no more number or no more white rice. We came on the second day but unfortunately no more number for us, but is okay it's just nearby our stay lol. So we came on the 4th day and so lucky because of typhoon we just waited for 45 mins. But before that we just go to the opposite dim sum restaurant to eat first and later on continue to try their roasted goose lol. Just opposite to the roasted goose restaurant. Dimsum taste not bad too. I think it consider nice! Then the staff from the shop was super friendly too. People always tell me I might get scolded in Hong Kong but what changed my mind was, we never get scolded by any shop owner or staff. Everyone was quite nice to us, maybe because we travel in a group and all of us look young and chic. AHAHAHAHAH Maybe but I'm so happy because we met lot of good and friendly people lol. After 45 mins! Finally we get a nice and big table for 5 of us. Happiness! Please dont put too much effort on taking a nice photo because everything taste good when it's still hot. So eat and taste it while it's still hot. This damn good but the price itself more good. HAHAHAHAHA Remember no credit card ya. They only accept CASH or octopus card. I recommend you to come during the last few days of your trip. If not this can cause you over budget AHHAAHHA! But once in awhile, it's alright. Per person we order half goose with some side dishes + food + rice around RM70 per person. If you are damn hungry I confirm you will order one goose not the half size. Then it cost around RM100 per person. I can only try you next time. I will keep my HKD nicely and come back to you next time. Not sure how it taste but my friend say this is the best local egg ball. So if you come to HK just google map this name and you can look for it. Here's the image I google for you guys! OMG I feel bad I never try this. It's so famous because it also Michelin recommended food. Look at the amount of people queuing for just an egg ball wtf? Can you believe this but it recommended in lots of newspaper and Tv show. So...nvm! Next time then! Victoria Harbour located between Hong Kong Island and Kowloon in Hong Kong. It's where all the Hong Kong drama shoot the scene and enjoy the light show here. It truly Hong Kong’s lifeline. Photo can't show the real view from my eyes but it's really breathtaking at night! Wanted to pay a visit to star avenue after that but it's under construction. A bit sad but look at this night view just make everything better. We spent quite sometime just walking around this area and also doing nothing lol. If you want to experience more, go on that cruise and experience something diff than other! After that we continue doing nothing and I found a good spot to take some OOTD with Smelly. I planned for all his outfit so it worth my time to take a photo here lol. Thanks Baobao (Bobo's sis) who help us to capture all these wonderful moments lol. Life is good when you travel with a photographer lol. 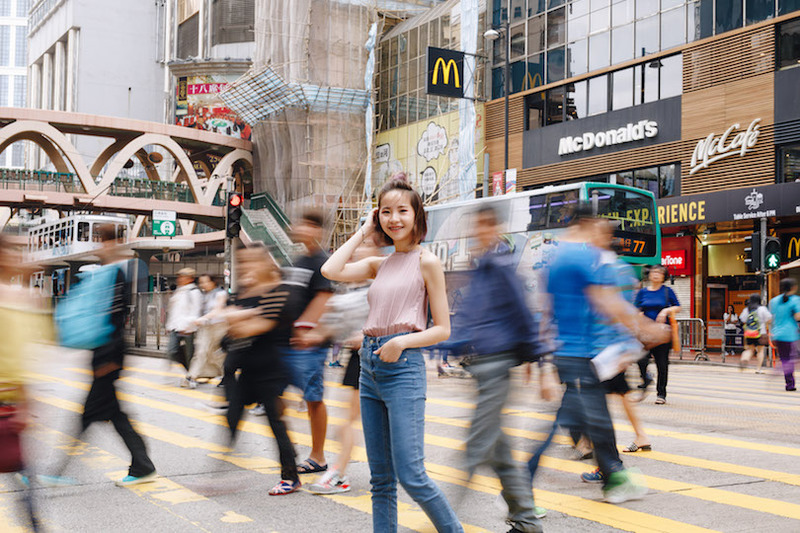 So for a smooth itinerary plan you can come to MongKok - Ladies' Market first , then look for the famous polo bun which is located one MTR station away from Mongkok. . After that you can walk to the gold fish street nearby too. What's ladies' market? Here's the must-visit and must-come place! It's something like our Sri Petaling Street but with lot of sign board on the street lol like the photo below. It's actually a marketplace with many vendors who selling clothing, accessories, souvenirs & street food. I didn't buy anything here. Just window shopping and bought some snacks and souvenir for my friends and family. But my friend bought something for herself. Even it's quite a busy and crowded place but it's a good experience tho. Both tourist and local people will shopping at this place. Next continue for the adventure. We look for another highly recommended cafe. It's the local hong kong cafe. Unlike Malaysia most of our cafe has those fancy fancy decoration and interior but in Hong Kong, most of the cafe refer to the old vintage local cafe which serve yummy breakfast, toast , tart , local milk tea , polo bun and so on. We tried diff tart in Hong Kong but honestly, if you are here, dont order the tart from this cafe. The egg tart from Tai Cheong Bakery (which I will show it later) is nicer than here. At this cafe, we didn't order the normal polo bun. We order the ultimate fresh butter polo bun. Some review saying it not nice or the taste is not as good as the past. I guess it's because if the polo bun not serve in hot from the oven then it's not nice. But we were so lucky because the polo bun for me is really really tasty. The top crunchy topping with a melted butter. I tell you I hate butter a lot I just dont like eating it but when it comes together with the polo bun. I accept that it taste nicer! So if you come here, remember to order the one with butter one!! Spot the blue label on the right! Lucky than anyone else no need to queue for the table. We try our best to order thing faster but during normal hour not peak hour, the staff also very nice. Never get scolded for ordering slow and taking photo too. But my photo taking speed is really fast lol Look at the polo bun you must think it's very nice. I thought it just look good but once you bite it, OMG! LOOK GOOD AND taste nice too. If you're unlucky, the polo bun isn't hot then it taste slightly disappointed. So throw your camera away and enjoy the bun lol. Personally I recommend to try the polo bun. For milk tea, dont expect the milk tea like teatime or chat time or KOI. Their local milk tea smells really nice but taste like no sugar one. Not even taste sweet from the milk tea. For people like my friends they are okay for that, but for me I'm a sweet tooth, I feel sad for the milk tea because it's like no sugar at all. Nothing sweet is good for health lol. But the milk tea really taste like local one and quite nice. So pray hard but most of my friend tried it. So I guess all my readers can be as lucky as me! So what's next? Next after tried the local cafe and food, we continue to search for somewhere interesting, local and fun. At first I just thought like, we just gonna pass by and I would love to take some photo on the street here but ended up we spent like at least 2 hours at this street. When I arrived here, I wonder why. Why everyone looking at all diff kind of aquarium store and shop. Is that really nice? Or just because HK apartment is super duper small, the only pet they can own was the aquarium pet? Fishy fishy maybe?? Will research it and ask google later lol. Not only selling gold fish, there are diff type of crab, underwear fishy like memo and so on. Even selling those baby frog lol. I stunned when I spot it at the corner of the shop. We just walk around and each shop selling unique aquarium pet. Really open up my eyes after came here lol. Feeling like a local and good experience. The memo and fish here selling quite cheap for us except those unique aquarium pet, can sell up to RM200,000 which probably can use that to buy a luxury car already lol. Good experience and worth for the visit. Something diff and never thought so many local people interested to visit aquarium shop lol. There are two must visit place in Hong Kong. 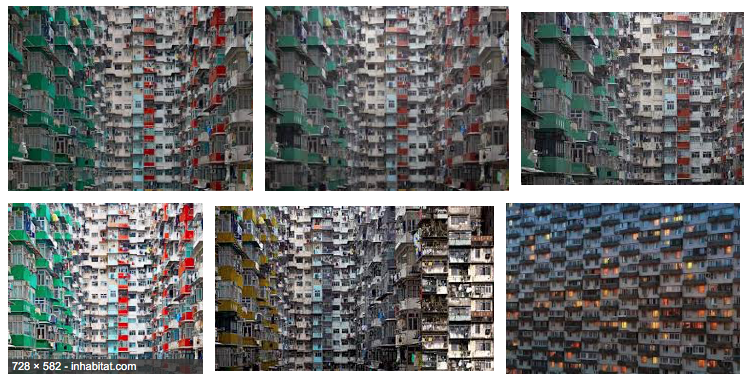 One is this Choi Hung Estate apartment and another one is the hyper crowded apartment which is the one most of the instagrammer went to check in and take photo one. For me of course I will go to the rainbow pastel one because it's so damn FREAKING NICE! OMG please if you love rainbow and pastel. You should come here. Every corner was an insta worthy corner. Let me show you! Most of my friend went to the hyper crowded one. It's very dull, dark but somehow very cool also. But I prefer something diff and of course, I'm pastel lover. I love colors, rainbow, unicorn and thus, I'm here!! It's a beautiful rainbow apartment. It's the magic and although Smelly keep on 😑 when I told him I 'die die' must come here. But after we step into the car park and have a look from the apartment downstair we were like ' OMG. REALLY RAINBOW' NOT PHOTOSHOP one! All of them smaller than me. I'm the oldest! Love this photo a lot but you have no idea how hard it is to shoot this photo.unless you saw the BTS (behind the scene) photo. I will show you on my coming post OMG.Please stay tuned! So we spent like 2 hours here too. Just doing nothing and lots of young people came here. I guess even I turned 25 but my heart still young ok?! This is one of the local and very normal lunch but it taste really nice for us. What shocked us the most was the portion of the food. Three golden eggs with the perfect amount of luncheon meat with some Hong Kong style local sauce 🤤🤤 Omg omg omg mad love this. It's located at Sheung Wan. The same dark blue line (Island MTR Line). Just google map for the location. Google map is your BFF during your trip! What? Japan also got its news!! I look damn ugly here with weird expression but OMG. Look at the expression. It's process and I think they will kill me if they spot this on my blog. I dont think they read my blog. So is okay ya. I'm going to keep it as a secret! WAHHHH! You know damn a lot. The portion is really big so if you can't finish a bowl of rice then share this with your friends or partner. Look at the golden egg and the meat. Damn good you know. They put a special black sauce on it. How to describe like what my parent use to cook to me when I'm young. Taste of home! HAHAHAHAHA Yes!! If you really like simple food like this please try it here. It cost 38 HKD per plate. There so many to-do in this place. We spent our 4th day mostly in this station because typhoon came to HK. We can't go far than here , it's dangerous plus most of the shop closed because of that. So the whole day we can't go to the peak or sightseeing. What we did = empty our stomach and fill with lovely local food! HAHAAHAHH Best choice ever! So we stayed at our apartment until we hear the report saying it's temporary safe for us to go out. We just hang around central area. Visited the old vintage interior starbucks which is really famous and must go, lan kwai fong - the place where we know in most of the HK drama, the bridge , the longest escalator in HK and also tried the famous Tai Cheong Bakery egg tart! Let me show you one by one! Central station is a very busy station because it was a transit station between 4 lines. Also, we spot this bridge and it look so familiar. Most of the HK drama main scene or stating point will be here. AHAHAHAH Exactly! like when the male main character finding his gf, then one walking at the other side. 然后有人在中间那这东西挡着对方看到对方 擦肩而过 Yes, or when both of the main character argue then they run to this scene. Then the guy will chase his gf then hug her. HAHAHAHAHAHA I also create my own insta stories at this spot lol. If you eat too much like us, want to exercise hahaha! Then you can come but it's something unique in Hong Kong. It's listed as the world's longest outdoor covered escalator system. Stretching for over 800-metres and rising 135-metres through the streets of a steep hillside linking these districts of Hong Kong Island. Due to typhoon the escalator shut down so we need to climb and walk ourself. We ended up giving up because it's just too tired! AHAHAHAHAH Old already can't climb too much lol. But normally the escalator is working one. It takes around 25 mins to go from the starting point to the end. If you don't like it then you may skip this. HAHAAH I really like unique experience and trying diff things with my crazy friends and that's why we are here. Also, wanted to experience the longest escalator and show it on my blog. But it's too challenging to climb all the way by ourself without the escalator. So we just walk like 10 mins and continue to look for Lan Kwai Fong and Starbucks lol. The only Starbucks in Hong Kong which serve local food such as polo bun and local desserts. The whole concept is so different with the normal Starbucks. It's so vintage and all the decorations were super unique and look like a 50s Hong Kong-style cafe. Once you follow the google map, it will bring you here and the starbucks entrance just right beside here. It's a local 'HK Cha Chaan Teng' decoration. If you are looking for something special like this then here's the place for you. Located @Duddell Street, Central. All the usual Starbucks food and drinks for HK in an historical setting and they serve polo bun OMG! But it's sold out on that day! So if you come here with your friend and you love night life. Then remember to come here Lan Kwai Fong too. It's the famous Hong Kong's party district. We don't really drink, so since we went to the longest escalator, we just might as well walk to this area. Just to have a look. From what we experienced, unlike movie or drama... It's not happening but lots of 'ang-mo' here. I thought it's super happening at night like those drama but it's not. AHAHAHAH Since it's almost Halloween, there's some special event to celebrate it. But we never go in any bars so just simply walk around! No people here one lol. Why this lan kwai fong become just a photo spot one lol but still if you super like night life, feel free to come here and enjoy a cup of beer with your friends. Oh, i mean a bottle AHHAAHA! Hong Kong style local bakery shop which is really famous for its egg tart. This egg tart way better than the polo bun cafe's egg tart but the polo bun cafe is famous with its polo bun one. So can't compare lol. The egg tart really not bad! But after I tried the Macau egg tart, especially the crunchy biscuit layer, it melted my heart. I remember the taste until now and I'm freaking hungry now lol. But that's two diff type of tart so, I think this is also worth to try. Hong Kong style's egg tart! Located at the central too. This is another must go places. There's some famous shopping mall here ( if you want to buy some branded stuff) and it's actually a heavily built-up area of Hong Kong. But I come here to meet my holiday photographer from SweetEscape. I wanted to do some holiday shoot with Smelly and also some local shoot to keep those photo as memories. I tried SweetEscape last year, so this year I'm will do it again with Smelly. Most people book it to shoot pre-wedding, couples or family photo. You know sometime when you travelling with a group of your gfs and no one else help you to take photo. The only photo you able to take is...selfies and wefies so SweetEscape created a platform to link both oversea people like us with their local photographer. Whether you are going to Japan, London, Italy , Paris, Hong Kong or any country, they can get you a local photographer for the holiday photography service. Photo can be receive through the app or website within 1 week time and I'm impressed with my photographer shoot in HK. He is a friendly photographer from HK. Hello Anthony :D Of course I go through his profile and all his composition and photo was super duper nice! The package came with diff price based on the hours and amount of photo you wish to download. So dont ask me how much, please click the website and check it yourself because each package is different. Also one of the local must-do list is get up on their city tram. It's not free ya, you only have to pay when you go down from the tram using octopus card. So we just randomly take a tram. Just want to experience it in a local way but it's quite fun because I feel like I'm just the main characters of those HK drama / movie. LOL syiok sendiri lol. No one tell you but here's another photo spot! Damn chio right! We went to try the Ichiran Ramen in Hong Kong because I miss Japan and the ramen but quite disappointed because the taste slightly diff. Japan one is more rich and taste more yummy like the meat taste good than the one i had in Hong Kong. So if you haven try the Japan one, please go try because it's really diff with the one I had in Hong Kong. Not bad but still 差那么15% 真的很伤心 Really miss the one I had in Japan. *Extra from my itinerary: which I personally wish to include during my trip but suddenly typhoon come so everything changed. If you stay in HK longer / more budget, feel free to visit those place. To make you easier, for a quick escape and short trip to HK. I mark down everything and listed down for you. Now you just have to plan or pick accordingly and see whether which station you wish to explore first and follow with a smooth plan so that you can save your transportation fees too. As I mentioned earlier, if you have more budget and want to experience more. You can check out the Ocean Park and visit to the Disneyland. Also go to the peak + wax museum or visit NgongPing360 for the crystal cabin and big bundle sightseeing. *For food if you like beef noodle (since my friend can't take beef, I didn't plan that in my itinerary), then you can try the 九記牛腩 Kau Kee Restaurant located @Central, Hong Kong. Also if you want to try the famous 'Wonton' noodle in Hong Kong, try the 麥文記麵家Mak Man Kee Noodle Shop in Hong Kong. It's rated as one Michelin star restaurant in Hong Kong. Last but not least, if you love milk. Try the Australian Dairy, they are famous with the steam milk pudding. I received like 6/10 of the dm telling me to try this! Since I'm not a big fan of milk, I skipped this lol. Yes I dont drink milk I hate it :'( lol. Allow me to out of topic for awhile: This also very nice! It's a tin chicken slides like our tuna one in Malaysia with some biscuit OMG! I finish 3 pack all by myself! AHAHHAHA So it's end of my HK itinerary. Now, let's kickstart the Macau part. I went Macau for a day trip by the ferry. The one way ticket price is around RM90-100 depend on whether it's morning or at night. If you wanna plan for the budget, then it's around RM200 for go and back ticket between HK > MACAU. Bye Hong Kong and Hello Macau! I asked my friend like ' So Macau speak in Mandarin or Cantonese language' then my face just show me a #facepalm expression. So sorry I didn't know anything about Macau lol. Macau it similar with Hong Kong but this country was super duper rich because there are lots of casino. Yes, almost everywhere and I love the tourist spot at Venetian Macau. It's so pretty and I miss my Italy trip omg! People come here for gamble but I just come here to walk around, EAT THE TART and of course visit the casino. I didn't really play those game tho lol. Don't even know how to play but the casino so pretty I tell you OMG. If you have extra time you can visit to the casino or if you are rich enough, stay a night at the casino hotel hahaha! Damn chio. So we walk around this whole area from Igreja Da Se Cathedral to Ruins of St. Paul's. Then take our lunch at somewhere nearby here. The food in Macau also taste really good. The people told us if the restaurant not good, very easy to close down in Macau since the population here and amount of local people consider less. Please let me syiok for awhile because I feel like I'm super chio and chic with my outfit and sunglasses. Omg look how pretty the building itself. During the evening, the building itself is well lighted to give a beautiful view. The square beside the church is also a nice place to rest tired feet. That's the only Cathedral in Macau, compared with the one I went in Italy, it's a huge diff but anyway it's pretty also but just quite a normal Cathedral. The one I went in Italy is way beautiful than this. 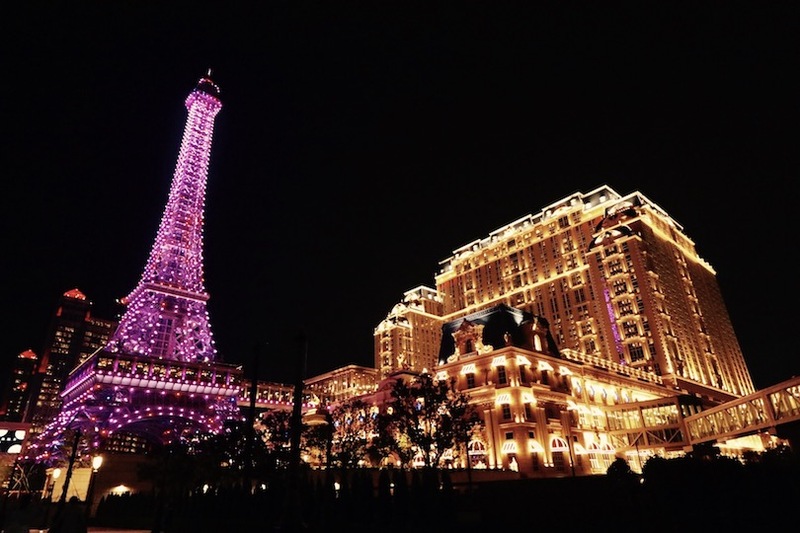 So here's the must-go places in Macau too. We reach there quite early in the morning but still look at the amount of tourists like us. I dunno how to photoshop it so the only thing I know is, no one could recognize me here and no one know me here. I must took another prefect photo without photobomb. Was waiting for that 1 second miracle to happen. I insta-stories about the tips to take photo as a tourist hAHAHAHA! Will blog about it soon lol. The first thing is , you must be shameless and thick face! Like this! This is the normal pose as a tourist but I feel sien I see the photobomb behind me so I ask someone to take some example for me to show on my blog. Below is the photo if you shy to take photo in front of the public. This is the photo outcome. Lots of photo bomb and just.... live it once! Do it in a good way lol. Omg look at the photo bomb but nvm! Turn on the camera and spam on the shutter + low angle + thick face and post 10 pose within that 1 min and THERE YOU GO~~ Your perfect picture! Next example, holding each other hand like a pro but the behind the scene is something like this..
Wow! The perfect 0.01 second photo without photobomb! Murphy, XiaoLiu , Smelly, Bobo , BaoBao & Your super chio Chanwon! Meanwhile, my friends are working hard on their photo lol. No worries we got pro photographer here! How I wish every of my media trip can bring one photographer friends with me! OMG this is damn good la! After took our instal-worthy photo, we decided to walk around here and grab a cup of hot chocolate / coffee. Then I took another super chio photo again before i change to my next outfit. A beautiful corner beside the tourist spot. Not crowded at all and it's very beautiful! Don't act already la. So tired already! So next, we look at the google map and the famous tart located inside this Venetian building. There are two branch, the original one which is far than this place but because of our day trip, I decided to just come here so I can visit the Venetian and Casino at the same time! Can take wedding photo here! AHAHAHHA Spot the Eiffel tower there!! Should take photo with the paris tower in Macau but I thought it's still early then when I leaved here, the sky turned really dark. So we only able to take the night view photo there. Perfect smile but what happen to my legs? This is the egg tart I mentioned earlier. There are few branches in Macau but the original old shop located quite far and no place to sit down like this Cafe. So we ended up decided to come here so we could spend more time walking around. So happy we only queue for 15 mins. It's quite fast and weekday mah! That's why! The Portuguese egg tart is damn good. It's super duper famous in Macau and if you are here, please order one box for yourself. It's really damn nice. The flaky and crunchy pastry shell with a really rich egg tart taste. OMG The top part of the egg tart is something like the creme brulee. I guess I love this a lot because the caramelized top plays an important role in the taste. After that we went inside the building , walk around and pay a visit to the Casino. Both of my friends changed like 50HKD just to see whether they're lucky or not. But for me, I just walk around and see people win lol. But the interior is really pretty just not real enough to compare with the one I saw in Italy lol. Can't compare la I know! So that's all for my Macau day trip itinerary. Before you plan your day here, remember to check the weather report. If it's too windy, there is no ferry available to fetch you from the HK > Macau ya. Luckily we went here on the second day, if not we can't go to Macau during the 4th day typhoon. So it's the end of my itinerary. Although it's really long but I hope it give you a good guide and useful for you. It's my first time to Hong Kong, I might not a perfect good planner on my itinerary but I shared all my thoughts and experience here. So please please read it yourself. I received like 100dm++ everyday regarding my itinerary and recommendation. Actually I did check-in and hashtag everything on my insta and fb. But people who lazy read, will never put effort to read it. They will look for a shortcut asking me lots of thing in one long paragraph and expect me to be like their tour guide to guide them. They dont even want to google it out and ask me about the opening hours and etc. Hello I'm not google ya. I just tried my best to answer and do it for my readers. If you are such a lazy one, I'm so sorry I couldn't give you a real and best answer because different individuals may have different preferences, I'm not where what kind of itinerary you prefer to and I also did a little research before going. So yes, dont ask me like' chanwon can I know this open until when a?' Wahlao I'm not google. So I listed everything you might need to know here. 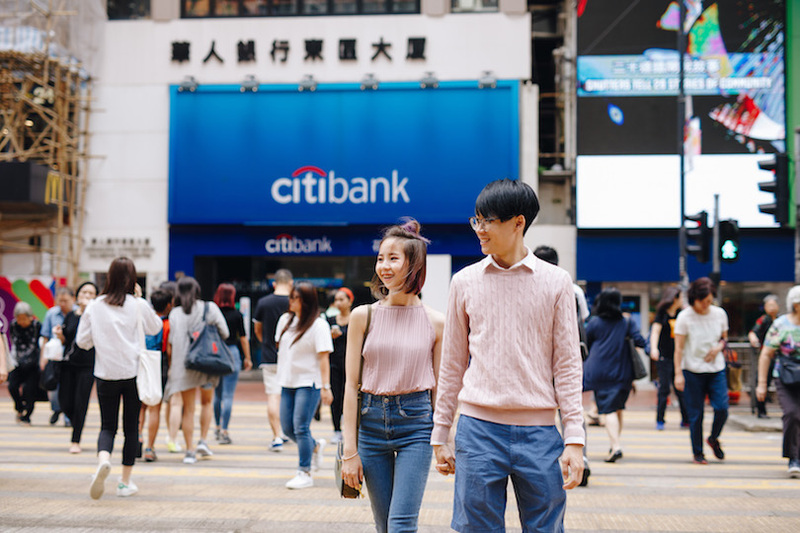 Hope it's useful for you to plan for your first Hong Kong Trip. Overall, my trip is a wonderful trip. At first I thought I won't be able to survive in Hong Kong because everything was super duper fast and quick. This busy city has a unique experience for me. Somehow I quite like it. My friend told me I might get scold if order thing slow or eat slowly but so far during the whole trip, we never get scold by anyone. Even the shop owner serve us food with friendly smile. Most of the time when we see the food, we were like 'WOW POLO BUN! WOW THE RICE SO BIG PORTION HAHAHAH' then those owner actually look at us and answer like 'wah, they wow!' Next, walk toward to our table give us a big smile and telling me that what kind of camera we use, then look at us like the 'chickens coming out from the cage'. Really surprise with it and also we helped one old aunty who stopped at the middle of the road and another aunty who get cheated by one buyer at the supermarket counter. You know, this is the reason why I love travel to other unknown country. To experience, explore the whole journey. Smelly, a person who is quite introvert and shy. For many years, he couldn't understand why I love travel a lot and spent so much money on that. Ended up I need to work hard all over again to earn it back. Lol but after this few trips with him, he love it. When I told her I want to go Hong Kong, he was the first one who say OKAY! LET'S GO! He changed his perspective and mind. I thought he might hate taking photo for me, walking in the middle of the road , taking photo in front of the public...and recording all those stupid clip + stories on my Instagram. Lol but after all, he told me he love seeing us doing stupid things together. Searching for nice food, walking through the unknown street, exploring and get lost in somewhere else. Even it's just a normal sunny day, we will say thank you to the god who gave us a wonderful day to spend in Hong Kong. Although it's typhoon during the last 2 day of our trip, our plan got cancel, but because of that we get to sit down in the vintage Starbucks, talking with each other and at nights 5 of us sit together on a bed, some playing game some chatting about our life. Thank to my friends who travel with me. Who helped us to take photo, who wait us and follow whatever place I want to go. Thanks Smelly, Bobo, Murphy and more love to Baobao who help us to take photo during the trip. She's kind and lovely!So I guess that's all about it and I will see you on my next post! Love, xoxo. hi, i have a question here. Do we need to apply visa traveling around Hong Kong and Macau?